What is the REAL cost of searching for a job? 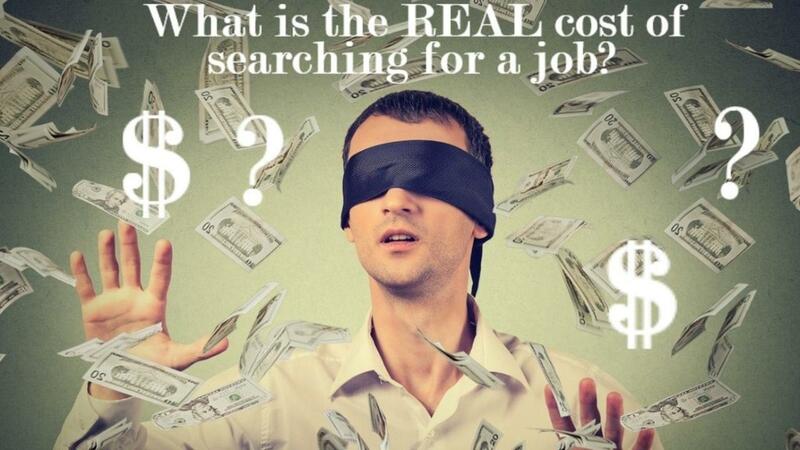 The real cost of searching for a job is the money that you could be earning if you had that job. If you’re unemployed, that’s a big chunk of change. If you are still working, are they paying you what you’re worth? This post is not meant to depress you. It’s meant to light a fire under you, a fire that will keep you going all of the way to your dream job. Because if you’re not already thinking about your next job, you’re probably losing a LOT of money as well as a lot of time to getting to your dream career. Or, are you working now and earning $12.50 / hour but are you worth $13.50 / hour? Well then you are cheating yourself out of $2,080 per year. For every additional dollar you earn, you can add $2,080 to your annual salary (or just $2000 if you’re ballparking it). KNOW what your next job should be. Know where you want to be in a few years. The steps you take today will either get you closer to that goal, or they won’t. KNOW your value. What are compensation levels for people in your field (and in your location). KNOW your peers in the industry. Do you know if they would recommend you if they heard of an opportunity? KNOW the corporate competition. Who are the companies that need your expertise? Be KNOWN in the industry? Does anyone know who you are or the caliber of your work? How can they recommend you if they haven’t heard of you. Once you are clear about what you want, you can stop chasing roles that are not right for you. And, when you do get an interview, you won’t be so burned out from chasing the wrong job. You’re not a professional interviewer. You’re not a professional resume writer. And, it’s okay to ask for help if you need it. Check us out at www.CandidateWhisperer.com – I’m certain that we have a resource that will be helpful. Stay connected with Job Seeker news and updates!